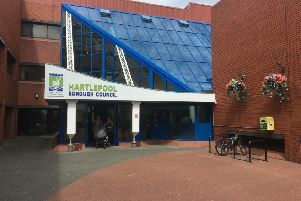 A fundraising appeal to help save a key part of Hartlepool’s history has gone international in a bid to save it from closure. The Heugh Battery Museum on the Headland is trying to raise at least £5,000 to keep its doors open. The fundraising and awareness drive – backed by the Mail’s Battery Charge campaign – is rapidly nearing the £2,000 barrier. It currently stands over £1,800 after a surge of support for the museum both locally and internationally. Museum manager Diane Stephens said: “We have been really stunned by the amount of goodwill and good wishes that we have had since the appeal has started. The appeal is also about increasing awareness of the battery museum to improve visitor numbers which will in turn boost the coffers. The site protected the port of Hartlepool for 100 years including during the bombardment of Hartlepool when German warships shelled the coast on December 16, 1914, making it the only First World War battlefield in the UK. Now a museum, it helps bring the story and others to life and houses an impressive collection of ant-aircraft guns, armoury and cafe. Diane said the museum enjoyed a flurry of visitors over the weekend. She added: “We had a lot of people coming in making small cash donations to us at the battery and coming in to say how much they wanted to support the campaign and how important keeping the battery open is, so that has been so heartwarming for us. Local media companies Bauer Media and Infotech Studios have been in contact with the museum about filming to help promote the site in Moor Terrace. Annual passes for the museum are available now priced £10. To donate to the fund, visit the Heugh Battery Museum Appeal page at www.justgiving.com.